Some wedding cake designs are so classic, they might just last forever. 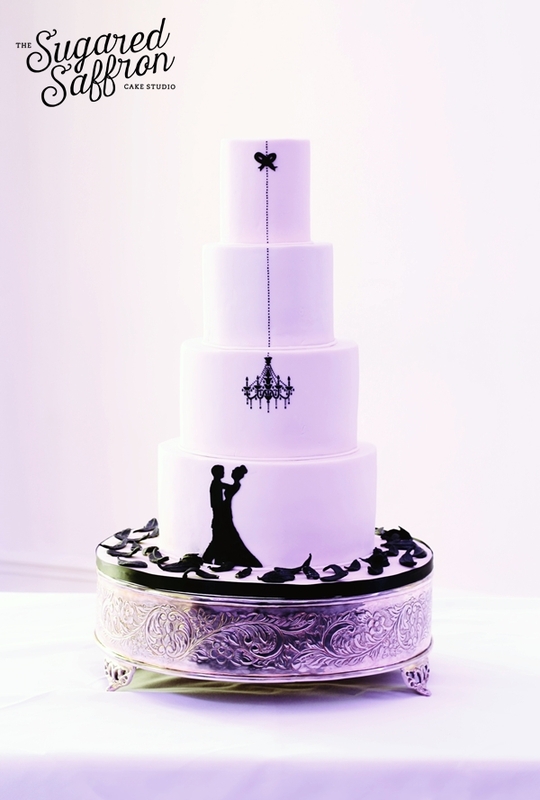 One of those forever cake designs is the well known silhouette ballroom cake. It’s one of those designs that are so often replicated, it’s hard to find out who actually started the trend. Through some meticulous research (google and cake forum fun!) I’ve managed to trace the cake to the talented Liz Russell over 6 years ago! Our version was 4 tiers and delivered to the 5 star boutique hotel, Andaz at Liverpool street. 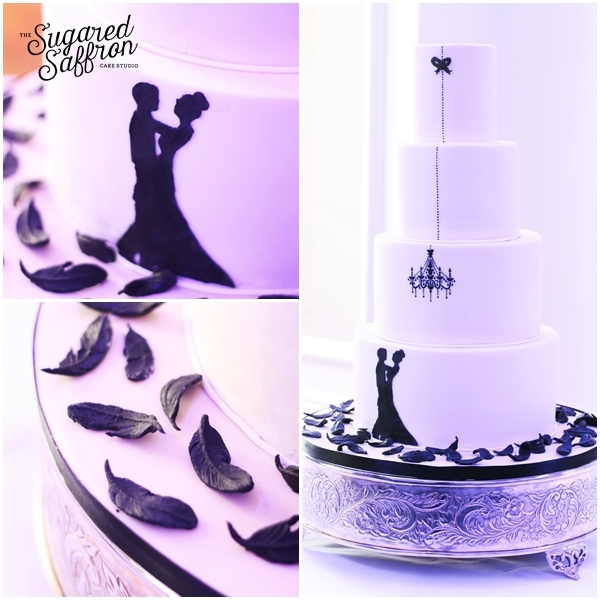 To compliment the couples theme and their feather bouquets and centre pieces, individual sugar feathers were created and laid on the bottom board. It gives the illusion of the silhouette couple dancing on feathers! 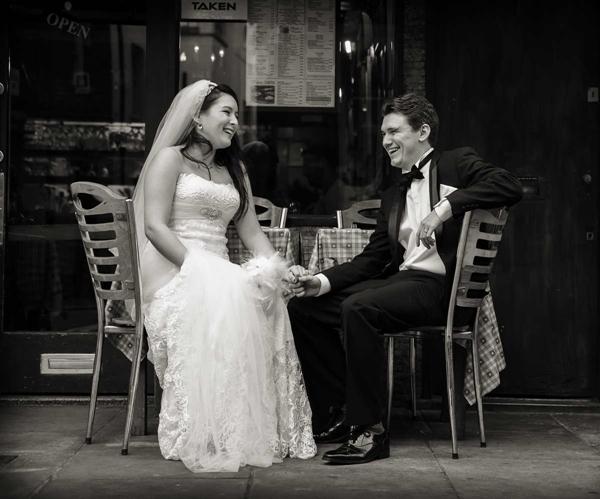 Their wedding was captured by the talented David and Joanna of Big Day Weddings, and you can view more pictures of their big day here!